I'm a Women Build Habitat for Humanity Ambassador! I am a Women Build Habitat for Humanity Ambassador! Whether it is donating clothes to shelters, helping young plus size teens, or empowering other plus size women to chase their dreams, it has always been important to me to give, support, and help those in need. So, when I was approached to be an ambassador to the Women Build initiative, I happily said yes! Growing up as a daughter of a Navy woman and as a Girl Scout has instilled principles about helping those around me. It could be donating clothes to shelters, helping young plus size teens, or empowering other plus size women to chase their dreams. It’s always been important to me to give, support, and help those in need. So, when I was approached to be an ambassador to the Women Build initiative, sponsored by Lowe’s Home Improvement Store, I leaped at the opportunity to pay it forward and sow into my community. And guess what? YOU are invited. Happy #InternationalWomensDay! ??? We celebrate the accomplishments of ladies everywhere around the world. 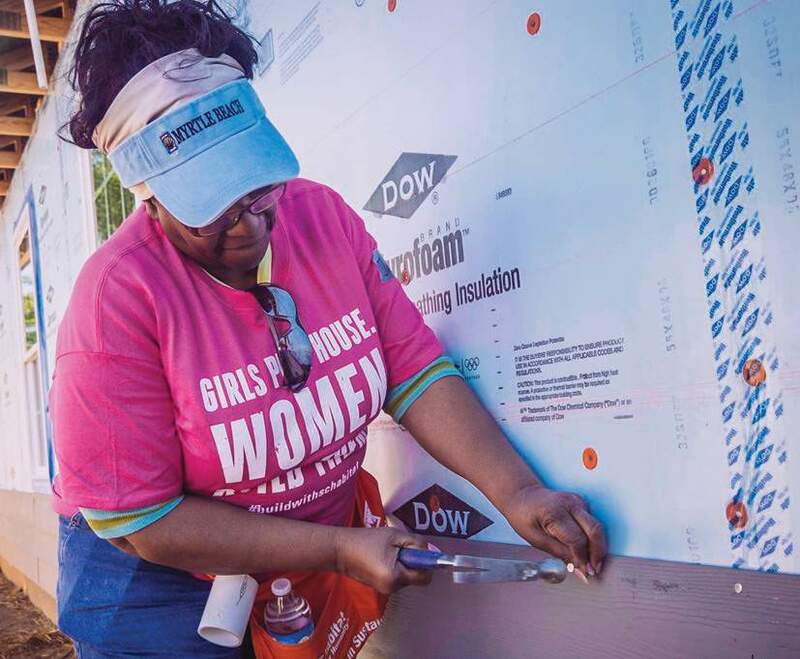 If you believe that girls run the world, we invite you to put that into action on site with us at our annual #WomenBuild. Sponsorship opportunities now open at schabitat.org/womenbuild ? 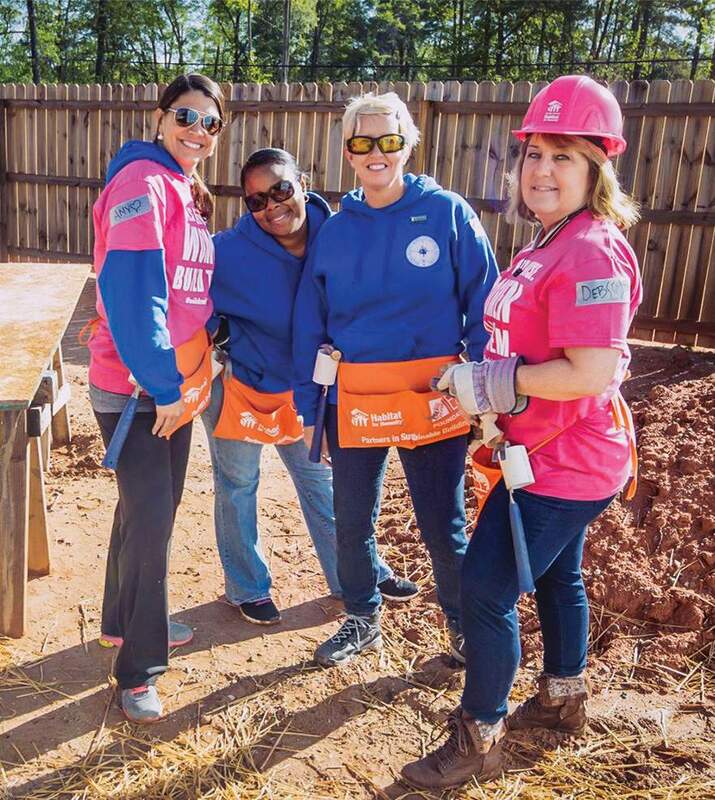 Next month, on May 8th, 10th, 11th, and 12th in Lovejoy, GA, their annual Women Build event will welcome over 180 volunteers from all over Greater Metro Atlanta! Soooooooo, join me as we build a home for Ms. Toyea Casey, the 2018 recipient of a Habitat home! She is a single mother of three working at Title Max and in the restaurant industry who is looking to build a better future for her family. And for each ticket purchased, 100% of proceeds from the event will help cover her construction costs. Not only will I be on hand to help lay some sod or nail some boards, but special guest, actress Catherine Dyer, best known as the evil Agent Connie Frazier on the Netflix mega-hit Stranger Things, has been confirmed as a speaker! Players from the WNBA team, the Atlanta Dream, will also be there participating in the build. The day starts at 9am and concludes at 3pm. We’ll start the day off by listening to words of encouragement from different motivational speakers, before spending the day building. “It is an opportunity for women to build for women.” Lunch is also provided, so all you have to do is come ready to let off some steam, get your hands a little dirty, and have some fun, helping a fellow woman’s dream come true. 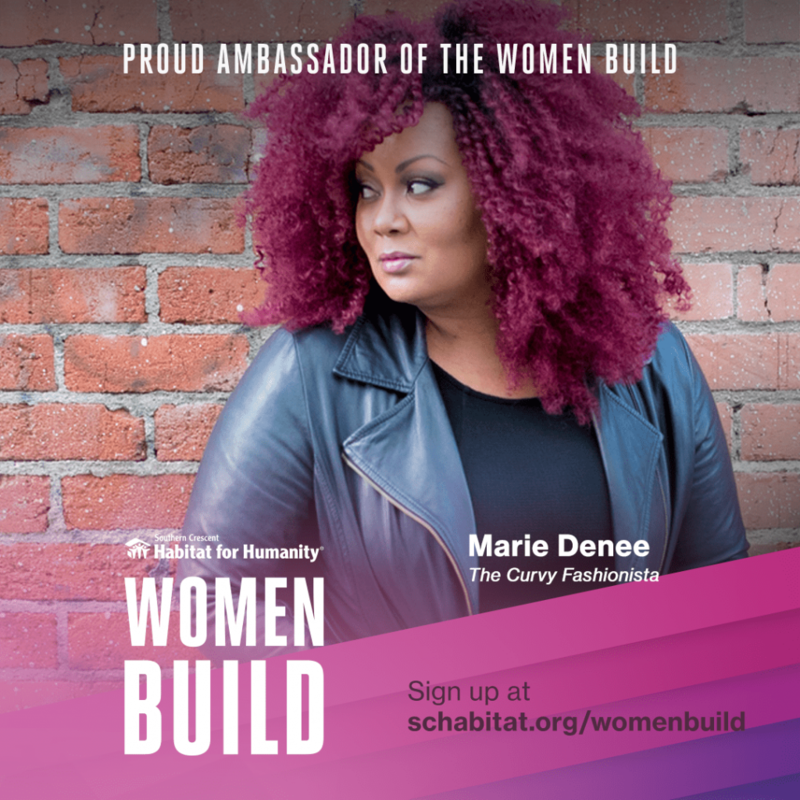 So will you join me in building a home with Women Build? I am so excited to have this opportunity to help someone achieve their dreams and goals! I do hope to see you there! More information and registration is available at schabitat.org/womenbuild. Ohhhh and you can use my discount code: CURVYFASHIONISTA, to save 15% off your registration! Your $50 registration fee covers the cost of materials, t-shirt, and lunch for the day. My Style: Looking for the Perfect Spring Dress? City Chic has a Dress or Two! Are You Headed to the TCFStyle Expo?! Check Out These Cool Updates!